A second video has surfaced showing Republican U.S. Sen. Scott Brown speaking to supporters while war whoops can be heard in the background. The whoops, apparently from a lone supporter, escalate as Brown criticizes Democrat Elizabeth Warren's claims of Native American heritage. Brown doesn't react in the brief clip. It’s not clear that Brown even heard the person. 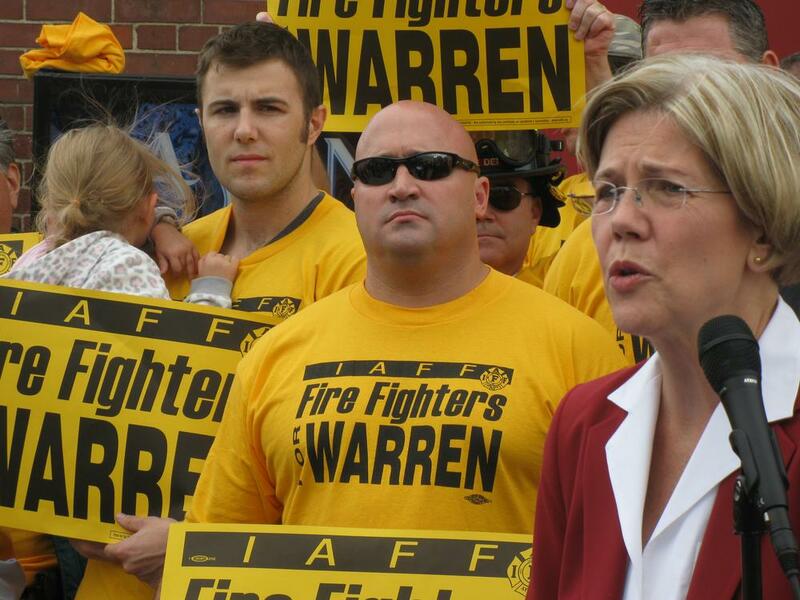 At a news conference in South Boston Wednesday, where she received the endorsement of the Professional Fire Fighters of Massachusetts, Warren said she's "appalled" at the video. The principal chief of the 310,000-member Cherokee Nation Bill John Baker, a Democrat, called the video "offensive and downright racist." The National Congress of American Indians called the video "extremely disturbing," but also faulted Warren for allowing the public discourse about her Native American identity to become misrepresented. Warren has been unable to document her heritage. On Tuesday Blue Mass Group posted another video showing staff members for Brown and the state Republican Party shouting war whoops and performing tomahawk chops. Brown said he doesn't condone the actions. The Professional Fire Fighters of Massachusetts represents 12,000 firefighters. Brown, too, announced the endorsement of a public safety union Tuesday, albeit a smaller one: the Massachusetts Municipal Police Coalition, which represents 1,500 police officers. This program aired on September 26, 2012. The audio for this program is not available.